Film a good quality video: no need for a professional camera, just make sure the lighting is clear and bright, that we can hear you well and that the video is not pixelated. Make sure your customers are learn something: When your customers are watching your videos, they want to have ‘an experience.’ Make sure they learn, win something or willing to share with their contacts. Add a little personal touch: Humor, creative visuals, contest; add a creative and personal touch to encourage people to listen until the end. Tip: Go live! There are plenty of opportunities for live video on the web! Instagram, Twitter, and Facebook, among others, allows you to record live video and it is a great way to retain your customers. You can use these to show daily funny moments at the office, make online contests, etc. Analyze the statistics that are given to you on different mediums to help you make better decisions about the next videos. Remember that a marketing strategy must evolve constantly, and be modified according to the results obtained! Also, keep in mind that the audience that watches to your videos might be different than the one who reads your blog, or shop on your eCommerce website! When you are in business, you should ideally use social networks to your advantage. Social networks are a great way to increase your visibility in addition to creating a community with your customers. There are several ways to use social networks in your marketing strategy. Advertisements: For example, on Facebook, you can create ads that will be sponsored. These ads can be programmed and will only be visible to the target audience you have chosen. It is also possible to sponsor content on other platforms, such as Instagram and Twitter. Influencers: More and more companies rely on influencers to market their products and make them known. In exchange for the product or service (or other), the influencers will share their opinion on the product with their subscribers. 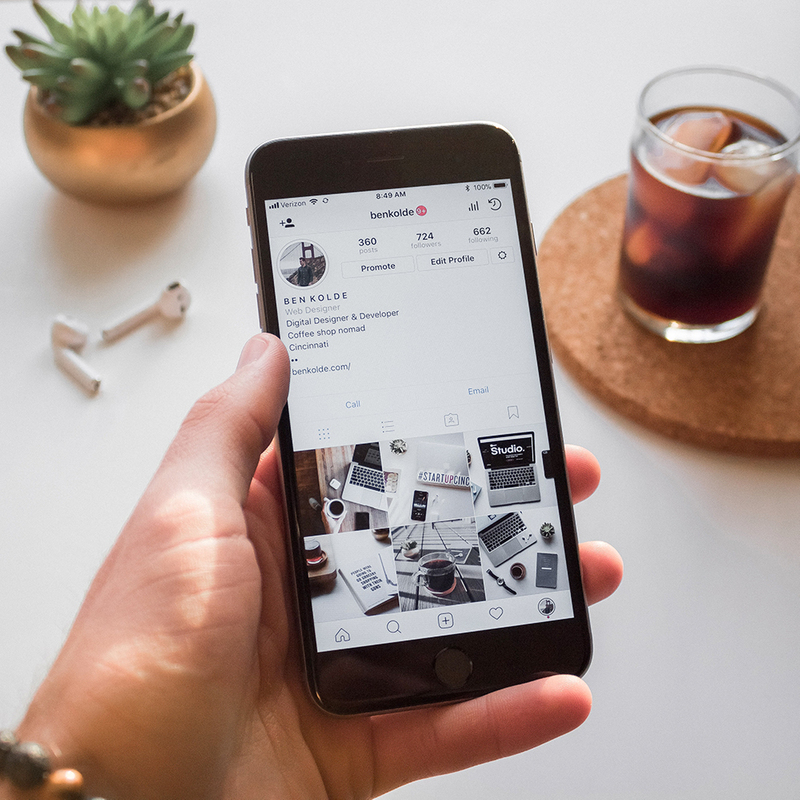 Instagram is often used by influencers and it works, since it is becoming more and more popular! We’ll talk about influencers more in depth below! To sum up the social media marketing strategy, you have to constantly adapt to your audience, focus only on the social networks that will have a positive impact on your business, and share unique, interesting information that will have plus value in the lives of your interlocutors. In recent years, the mobile has experienced a meteoric rise. That's why it's important to keep in mind that your content needs to be optimized not only on computer screens but also for mobiles, smartphones, tablets, etc. Have you ever thought of trying marketing via text messages instead of traditional emails? It is said that 93% of people have a smartphone and 98% of all text messages are open. Since this technique is gaining popularity, there are now several application options that will help you create your campaigns, edit them, pre-schedule them, and send them to your customers. Want to increase your visibility? Have you ever thought of having guest bloggers your blog or better yet, get invited to write blog posts? First of all, if you have a blog, great! Not only will it create a community with your customers, but it can help your business in several other ways, including SEO, reputation, reputation, etc.! 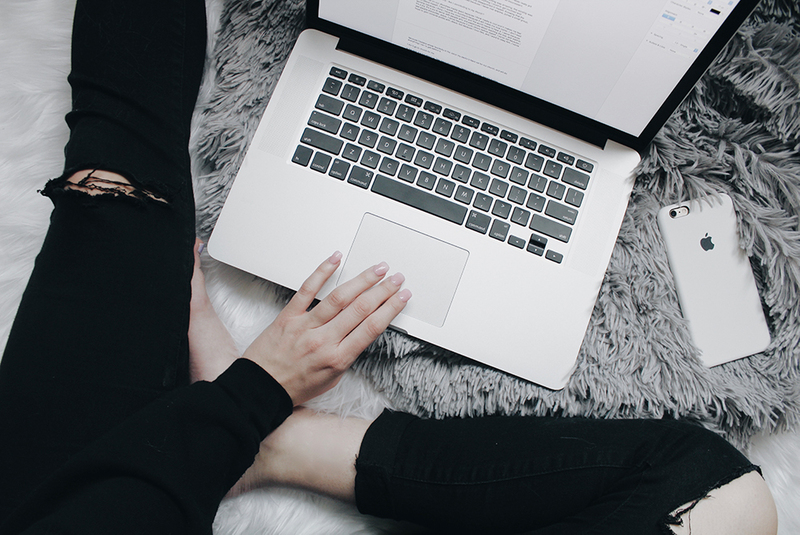 Being invited to write articles on another blog is great, since you can write articles on topics you master but you can also talk about your company and the benefits of your products/services. Do some research on the web to find companies that are similar to yours, but also that might be complementary. Form simple partnerships, for example, an article exchange every 2-3 months with a mention on social networks. In a short time, you have just doubled your visibility! In addition, by having blogs that talk about you (even if you wrote these articles), your SEO will be better optimized. Google takes links that point to your website as indicative of good reputation and you will be rewarded with a better positioning! This marketing trend started a few years ago thanks to the meteoric rise of social networks, mainly Instagram. Basically, it involves paying "influencers" (people who have a lot of subscribers or who are popular on the web) in exchange for sponsored publications, with a link to your product or service. Some also offer a discount for users, which is also a good way to have statistics on the scope, commitment and success rate of a sponsored publication. The problem? We see more and more sponsored publications, so it's hard to stand out. In addition, companies do business with people who have a lot of subscribers but do not necessarily include their target audience. The results are therefore very ordinary for the price. So there are the nano-influencers, who are influencers, but who have a more specific specialization. For example, a company specializing in socks for cyclists has a niche much smaller than a shop that sells all kinds of sports equipment. A nano-influencer can be someone who is a cyclist and has cyclists followers. By "selling" the stockings for cyclists, its publication will have much more reach, since its subscribers are more likely to be interested in the products! 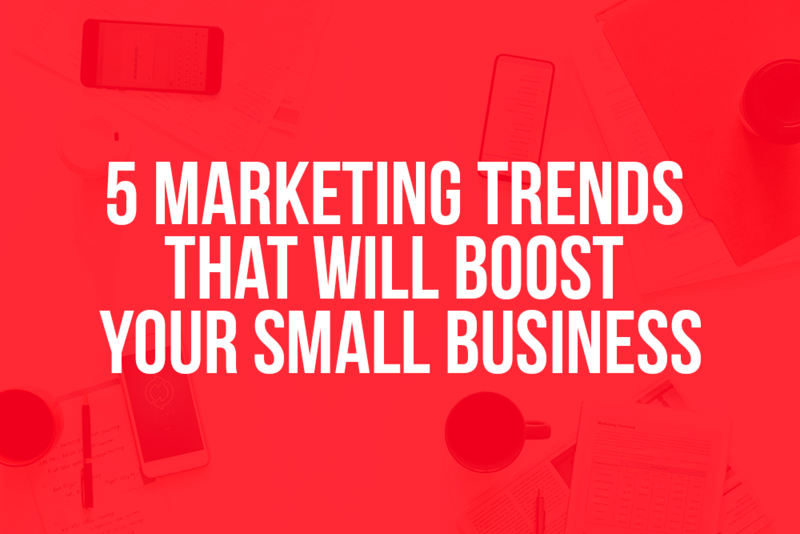 Here are 5 marketing strategies that will boost your small business. Which of these strategies do you use?